↑ 1.0 1.1 Muranov, Aleksandr Pavlovich; Greer, Charles E.; Owen, Lewis. 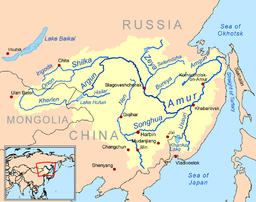 "Amur River". Encyclopædia Britannica (online संपा. ).